Since last week’s demolition of the then number five ranked Dustin Poirier, Conor McGregor’s name has been stuck firmly in the headlines. 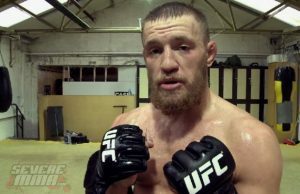 Much speculation surrounded whether the Dubliner would be the next in line for the featherweight title or if he would have to take another fight prior to that. Add in his twitter campaign to fight Diego Sanchez in November and it all gets a little confusing. To clear things up, UFC President Dana White took to UFC.com and released a statement on what’s next for McGregor. On the pretence that champion Jose Aldo is victorious at UFC 179 against Chad Mendes, White says McGregor may be the logical next No. 1 contender. 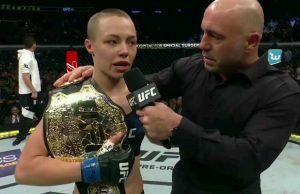 “Here’s the thing: If you go down the list, every one of those guys has fought Jose Aldo already,” UFC President Dana White told UFC.com referencing the top ranked featherweight fighters. While on McGregor fighting Diego Sanchez, a fight which McGregor himself has attempted to matchmake today after Ulsterman Norman Parke pulled out of his fight with the American, White was highly dismissive of the idea. At this stage, it looks like Conor McGregor won’t get his shot at Diego Sanchez anytime soon but, on a brighter note for the SBG star student, a featherweight title shot looks like coming sooner rather than later.